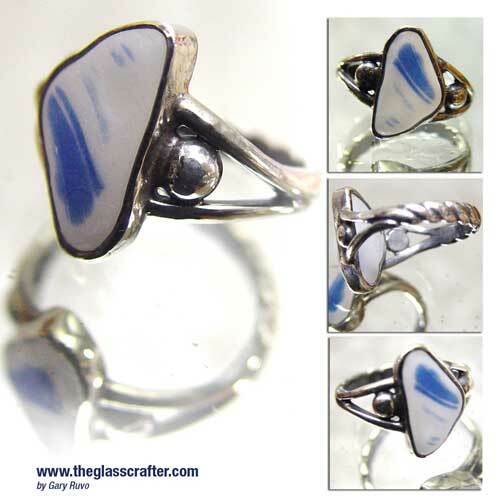 This sea glass ring features a spectacular piece of blue and white transluscent sea glass found on a Santa Cruz beach. The ring shank is hand carved accented with two silver balls. Ring size is 6 3/4.